Discover the history behind Ybor City. Image provided by Tampa Bay History Center. 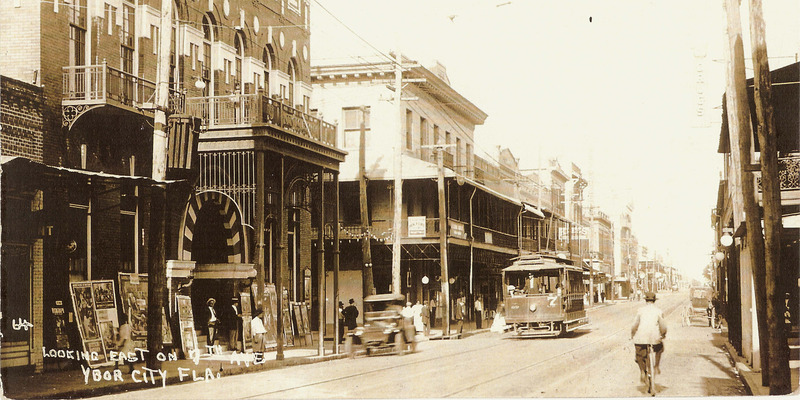 Join the History Center for a guided tour of historic Ybor City. This 90-minute outdoor walking tour is led by a History Center-trained docent and focuses on the founding and development of Ybor City in the late 19th century early 20th century.Tour the streets of Tampa’s only National Historic Landmark District and learn about the people, social life and work culture of early Ybor. You’ll see mutual aid societies, the Ybor Cigar Factory and other key landmarks, and hear the stories behind one Florida’s oldest and most unique communities. Walking Tours meet in front of the Cuban Club, 2010 N Avenida Republica De Cuba, Ybor City, FL 33605. Participants will walk a total of approximately one mile along public sidewalks and brick streets. Please be sure to wear comfortable shoes and attire for walking outside. Guests might also want to bring bottled water on the tour. Tours are limited to 25 people. Pre-registration is required. For details, call 813-228-0097. For more information, go to https://store.tampabayhistorycenter.org/#/SpecialEvents/WalkTampa.